We envision a future where universal and affordable access to healthcare is a reality. We aim to design medical technology that simplifies, improves reach and reduces the cost of healthcare without compromising on quality. This future will ensure that healthcare is provided as a human right unaffected by economic status or geography. Why we're starting with hearing healthcare. WHO has predicted that over 900 million people will suffer from disabling hearing loss globally by the year 2050. In South Africa, 1/12 children cannot hear their teacher and only 2000 audiologists are available for 59 million people. 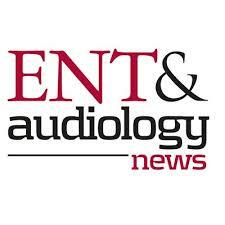 This shortage of audiological specialists is a global issue. This is especially prevalent in poorer countries such as Zambia which, until recently, had just 1 audiologist to service a population of more than 17 million. The medical fraternity is simply unable to keep up with the explosive demand for hearing healthcare which remains the second most common disability globally. But, 50% of hearing loss can be prevented with early detection and intervention at the primary care level. So, what is holding hearing healthcare back? Traditional audiology equipment is expensive to purchase and maintain. Quality audiometry requires that testing is performed in a sound booth. Sound booths are large and difficult to move unless towed on a trailer which increases costs even further. This lack of mobility and the fact that most equipment requires a highly trained specialist to operate means that hearing healthcare is simply not available to the majority of the developing world. The KUDUwave™ is an audiometric (hearing testing) device that employs a combination of technologies to block the same amount of sound (attenuation) as a sound booth. Additional technology monitors ambient noise in real-time to further ensure the quality of tests in situ. The KUDUwave™ is fully boothless and packs the full punch, offering screening, diagnostics, speech testing, assistive interpretation functions, a suite of patient management tools, cloud storage and is tele-audiology ready to boot. With this unique combination of technologies, we no longer need a sound booth and are able to combine the audiometer, headset and required components into a single, portable, lightweight device weighing only 250gms that is controlled by a laptop. Lightweight doesn't mean its a "lightweight". By removing the need for a sound booth we have improved portability, provided greater accessibility, reduced costs and boosted the overall patient and clinician experience. Patients often complain of anxiety and claustrophobia when tested in a sound booth. Now patients can experience open-air testing and diagnostics while benefiting from more personal, face to face care from the clinician rather than through a small window. The quality of testing is also improved by replacing traditional analogue components with highly accurate and reliable digital components. This includes the ability to objectively verify the calibration of the device and further assure quality control. The addition of automatic testing functions means that testing can be performed by suitably trained technicians rather than specialists who, in turn, oversee multiple tests remotely. Thereby significantly reducing costs, expanding the reach of specialists and improving access for patients while generating a multitude of employment opportunities. The KUDUwave is validated in multiple, independent peer-reviewed medical publications and is loved by clinicians and patients alike. 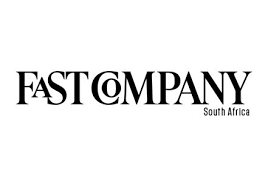 We have received high acclaim in popular media such as Forbes and FastCompany and distribution has expanded to over 30 countries around the world including USA, UK, India, UAE and many more. Credentials: CE Mark, FDA listed, ISO 103485 QMS.